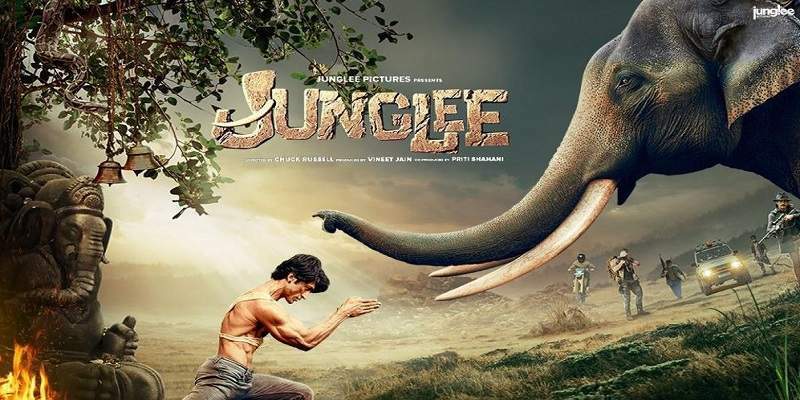 Vidyut Jammwal starrer 'Junglee' took a surprisingly decent-good start at the box office. The film collected around ~3.16 crores on its first day at the box office. Junglee is produced by 'Junglee Pictures', the movie studio division of the Times of India group. The intensive promotions and ad campaigns by the Times group through its news papers, TV channels and radio stations have yielded decent results. For a film that doesn't appear to be a massy single screen action film from its outlook, and also lacks star lead actors, this opening at the box office is good enough. The results of the glowing "reviews" by 'Times of India' and its sister publications are there to see, as the film saw a good growth in its collections on Saturday and Sunday. Junglee sustained well on Monday, as the collections dropped only by around ~25% from its Friday's collections. Junglee released alongside another Bollywood film, 'Notebook', which failed to make any noise at the box office. Notebook collected around ~2.5 crores in its first weekend at the box office. Junglee was comparatively the bigger release of the week, and hence managed to get released in a good number of screens at the box office, around ~1800 all across India. Junglee has taken a decent-good start at the box office, but, the final box office outcome of the film will depend upon its sustainability in the weekdays, and the second weekend collections. The film opened to unanimously poor reviews from the critics, except from the TOI group. The audience word-of-mouth appears to be mixed going by our first weekend ground reports from the theatres. Junglee is directed by Chuck Russell, who previously directed films like 'The Mask' and 'The Scorpion King'. The film features Vidyut Jammwal in the lead role. Total Screens - Around ~1800 screens all across India. Junglee, being a relatively bigger film this week at the box office in terms of star cast, production cost and hype, managed to bag the most number of screens. The other Bollywood release, Notebook, was a limited affair in the multiplexes of Metros, Tier-1 and other select cities.